When injured, or after surgery, it is possible to burn anywhere from 5-50% more calories per day because our metabolism spikes to aid the healing process. Nutritional needs for muscle growth and recovery from a musculoskeletal injury are similar, therefore, reducing calories will prolong the rehab process and will also decrease protein stores, which prevents the body’s ability to repair an injury. Since under-eating decreases lean mass of healthy tissues and decreases muscle protein synthesis, patients will accelerate muscle degeneration. In other words, patients can get weaker and will have more difficulty rebuilding strength if they under-eat when injured. 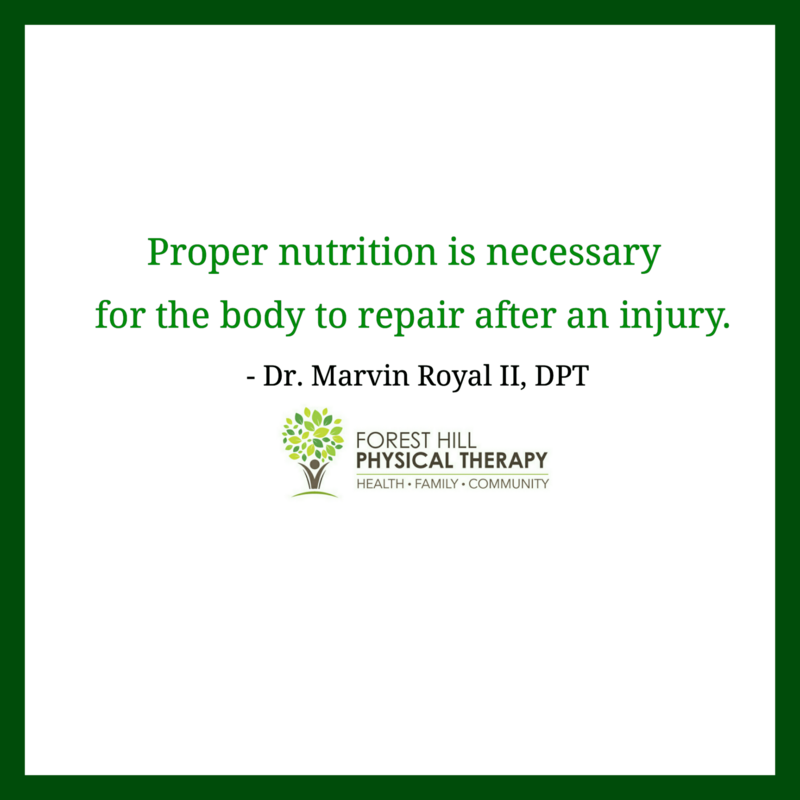 Remember under-eating will only prolong recovery and make it more difficult to return to prior level of function.